A day of books. What could be better? A colleague of mine and I strolled through the metro stop and down the carpeted steps and entered the Convention Center. There were people waiting with boxes of programs at the bottom, happily smiling and handing them out as you approached. The best thing about government funded systems supporting an event like this is that it’s free. No ticket required, no fee to get in, just breeze on past and enter the wonderful land of books (and sticky children). Once you figure out the lay of the land, it’s not so bad to find your way around. Although I spent more of my day walking thru the center than actually attending anything (not really, but that’s what it felt like). When I first heard about this event from my aunt, I was ecstatic thinking this is was basically like a Scholastic book sale but for adults. However, once I view the Web site, I found that this was not the case. And while I was struck with a little vein of disappointment, I was still excited to attend a conference of books, of sorts. The program was basically divided up in several subjects that you had to pick and choose from to create your own hodgepodge schedule. I arrived just before 11am and already the area was packed. Not that I was really surprised. So my friend and I ventured first to the Pavilion of the States where each state and many of the territories were represented by people from those states which was awesome!! (Shout out to both Maine and Massachusetts who chatted me up with equal interest, miss you guys!) Each station had people to talk with, handouts, lists of authors/books from that state, and usually a goodie or two. What fun! After that, we went to the actual books sales portion of the event. It was a rather large area, however each section heading, i.e. Science, History, etc. held a dining table of about 3 feet by 8 feet and stacked with books. Each table had maybe ten titles on it. Not at all what I expected but it did contain the titles that the present authors would be willing to sign which was a good thing, I suppose. After some serious eyebrow raising over the book prices (no wonder I buy nearly everything from Amazon), we both decided not to purchase anything and headed off to the next part of the event. 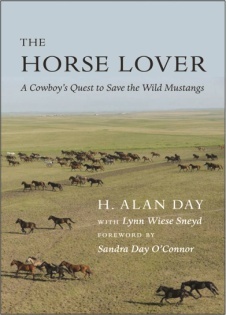 Sandra Day O’Connor interviewed her brother, the rancher, and his co-author on their book The Horse Lover at 11:50am, which was the first actual event we attended. Apparently, I didn’t read the paragraph for Mrs. Day O’Connor carefully enough because I actually thought that she was going to be speaking. She did give a little intro and an anecdote on her life growing up and how the family ranch came to be called “The Lazy Bee” but other than that, Alan had the reins. Which was definitely interesting. It was compelling to hear him talk of the wild horses and his life among them. Made me want to uproot and move to South Dakota to help. After a delicious but far overpriced lunch, we listened to Eric Cline discuss his new book 1177, including the trailer for it (which we also watched). 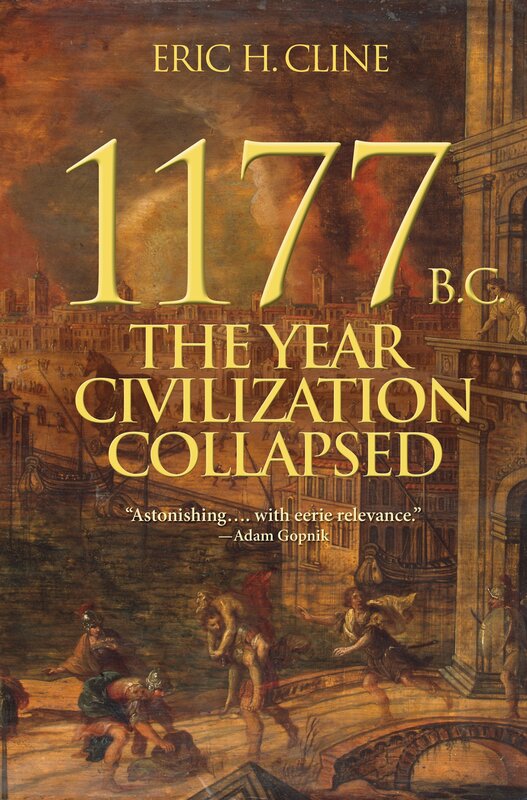 His book discusses the collapse of society at the end of the Bronze Age. There are lots of writings and archeological digs that were mentioned plus many more names of people that I couldn’t hope to remember, given their unique nature. And he really had me hooked into his concept and theory. So much so that he has definitely been added to the TBR list. The thing I liked best about Eric was his insertion of jokes, both onto his slides (which were barely visible to most of the room, unfortunately) and into his presentation. He kept me awake and alert which is a definitely plus in my book! Next up was a delicious and highly talented chef by the name of Cathal (pronounced ka-hal) Armstrong, who hails from Dublin and has his main restaurant here located in Arlington. It’s called Restaurant Eve and I can’t wait to visit! We watched him prepare his chicken stew and listen to the story of how it came to be named “President Obama Stew”. He made me laugh, awed me, and titillated my senses. It’s really too bad he’s married. But I will be picking up a copy of his cookbook, My Irish Table, which I suspect will help to keep me warm during the fall and winter…meals. Not long after, my colleague and I separated, he was ready to move on to a different event of the day but I had one last presentation in mind to attend. 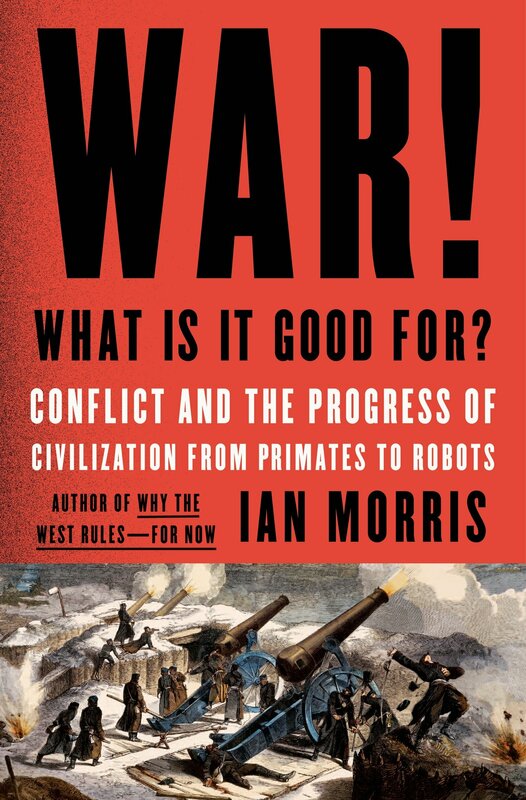 Ian Morris was going to be discussing his book War! What is it good for? and that definitely sounded like something I wanted to hear. Morris discussed the merits and detriments of war and how the chances of violent death have actually drastically deteriorated in the last 10,000 years (although according to the news, it may not look it). His topic was controversial, prompting lots questions after, but it was worth listening to. War isn’t all bad and in some cases might benefit the greater good. It gets a little sticky but I enjoyed hearing the discussion. I just realized how insanely long this post is but I feel it’s necessary. I love to document all the fun (and bookish) things that I do and I think you all probably find it interesting as well. At least, I hope you do. 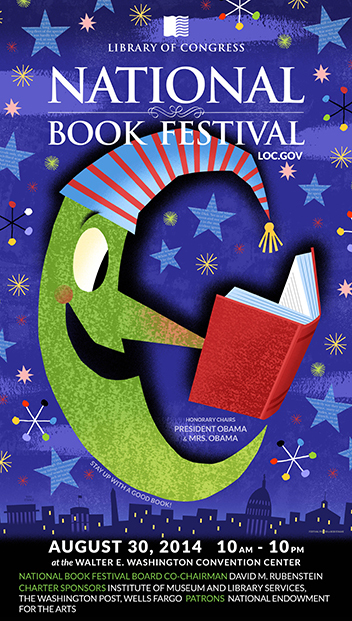 After Morris’ event, I did leave the Book Festival, but I did so with a smile on my face and aching feet. A sign of a good day. And for that, I am thankful. Here’s the maybe seeing some of you next year. Until then, keep on reading! I love this question! In short my answer is yes. No pain, no gain. I personally believe that in order to obtain (and appreciate) true greatness, one must have gone through some sort of struggle or hardship. Let me further define this by saying that “greatness” doesn’t mean being wealthy. It’s more about being a good person and one who is rich in other ways than money. Most of the best people (some of whom also happen to be wealthy) were affected by something in their lives that made them into the person they are which in turn made them become a better person, a great person who has value add in the world. Below is a story that I wrote when I was a sophomore in college. It was later published in a 4 part segment in my school newspaper. I have been very fortunate to get feedback and even some praise for it in the past but I would love to know what you all think (even if you don’t really care for it). Definitely leave comments if you have them. He wasn’t sure how long he had been living in this place or what day of the year it was. Most days he wasn’t even positive of his own name. The fear that constantly crawled into his veins and through his skin was enough to make even the most sane of men go mad. He was constantly the victim of late night chases by creatures that seem to seek him out just for the sheer pleasure of the hunt. They sought out his flesh and warm blood, but could never get quite close enough to steal any. He was constantly on the move, but could not figure out a more permanent way to fend these creatures off. The ground wasn’t safe anymore. Almost constant were the cries of the lesser creatures that were being attacked and he, himself, had been lucky to escape a few times. After a number of days of which he had lost count, there came one day when he was in hiding and witnessed what it was that these creatures could not do. They had been chasing a smaller being, but immediately had to stop when the being leapt into a tree out of reach; They could not follow it. He realized it was because they could not climb, but he could, so that’s exactly what he did. A tree isn’t the most comfortable of places, but is definitely the safest. That was their weakness, the swaying branches and the blinding canopy of leaves. The creatures could not climb very well and the nature of a tree was such that it had almost a constant motion, even without a wind. Yes, the trees were the perfect place to escape, the best place to live out those dark, lonely nights. Paul, that was the name he had chosen today, had been thrust into this place by mere chance; a place that no one but the few who remained even knew existed. It wasn’t quite a jungle, but it wasn’t exactly a forest either. He wasn’t even definite that it was like this all over, but, he had never been able to find a way out of the dense woodlands. There never seem to be enough time: enough hours in the day to go exploring and attempt to find an exit. Of course, nighttime was no time to be out in that wilderness either. That was the time when They roamed. He always had to be careful to avoid them, or else the worst might happen. Paul had come to realize that the daytime would be best for anything that he had to do. It was rare to see the creatures during the day; They almost seem to know that Paul would be sleeping then, until he got up to find food. When he had seen them, their mere presence had been enough to shake him all the way down to his bones. Their bodies were that of a human, but They walked more like apes, almost on all fours and with arms longer than legs. The faces were jaundiced and one could see the blood vessels peering out from behind the thin, yellow skin that hid them. The eyes were as dark as coal, which were in sharp contrast to the color of the skin that held them. They wore no clothes and had neither fur nor hair; They would have almost seemed to be humans out of the Garden of Eden had They not been so horrifying to look at. Eventually Paul came to nickname them the “massive dangers” or MD’s for short. Nearly every day he had an encounter with at least one of these creatures but somehow always managed to come out of it unscathed. During the day is when Paul looked for food. He managed to find some berries that he recognized from his days as well, he didn’t really remember what, but knew the berries were somehow okay. He also found a trickling stream which he made sure to try and always stay near. Sometimes, he would even pick at the leftovers that the MD’s didn’t finish, but since he had no way to cook or preserve the meat, never took more than he could carry or eat in a day. The climate was strange, it never rained and the sun was always about a steady 70 degrees beating down upon him. He could never seem to light a fire though; there was something unsettling about the air that made it seem almost as if it could explode with a single spark. At night, Paul would often watch the creatures interact with one another and with other beings, which were not smart enough to stay away. He could see that the MD’s carried strange instruments with them; though had never had the displeasure of the tools being used upon him. They seemed to almost have a language between them, which was made of strange words and symbols, he once tried to figure out what it meant, but it proved to be too challenging and he quickly abandoned it. They had a need to be forceful and in control, there were some MD’s who stood out more than the others in this respect. Those walked a little straighter and often had their heads turned up as if to imply their higher status. Paul enjoyed watching them, though he always had to look away when They came into contact with smaller living things. They were often cruel and poked at them with sharp objects, not caring if it caused pain. As far as Paul could tell, there was no one else in this place like him, so he didn’t want to interfere when the other individuals were being tortured. He stuck to himself and was an observer of this world; his goal was just to get out and get back to where he had come from. Paul wasn’t sure exactly where that was, his mind was a little hazy since he got here. He could barely even remember how he had gotten to this place. The day he had come to be here was an odd one in his mind and lately he had begun to wonder if that day never happened. That maybe his life had always been lived like this, fending off demons and foraging for food. But after every time this thought crossed his mind, he quickly shook it off; he knew that he had once been a different man. There was only one reason he knew this to be true and that was because of her. She was with him all the time, Paul could feel it, yet she always seemed out of his grasp, just beyond the reach of his hand. Sometimes he would see her wandering around with him; she would disappear in and out of the tree trunks. Never giggling, but almost always smiling. Her hair was a chestnut brown, with streaks of golden honey it in that seemed to attract rays of light. He would see the sun glinting off of her eyes in almost a playful manner. Her dress would always be blue; Paul had always known she looked good in that color. He could sometimes hear her voice fading in and out of the trees. He never saw her when she spoke, but oh, her voice was a smooth as silk with a soothing tone and always accompanied by a comforted feeling. For the life of him, he could never put a name to the face, but what can one expect from a guy who can’t remember his own name. He did know, however, that she was the most important thing in his life. For everything that Paul couldn’t remember about his life before this world, he could always remember an event that included her in it. Whether it was strolling along a street of many shops on a bright day, dancing in the pouring rain, kicking up the snow on a walk to the movie theatre, or rolling on a sprawling lawn, he could never forget any time that he had spent with her. Paul could feel that she was out there, somewhere, waiting for him. Most nights, when sleep finally came around dawn, he relaxed and let her soak into his mind, body, and soul, thinking of all the time he had yet to spend with her when he finally got out of this forsaken place. He always awoke from that sleep feeling refreshed and renewed, and knowing that there was still some hope. She gave him a strength that was unlike any that he had ever known and it was as if she was a part of him somehow, connected to him in an almost indescribable fashion. Love was probably the word that could best illustrate how he felt, but he could never know unless he truly ever saw her again. Other nights, Paul kept having the same recurring dream. It was of the night that he had come to be in this place. He had been driving back home and seen a great flash of light as if the horizon had been torn apart. The colors of it were so incredible, almost as if he could feel them tickling his senses. He heard a loud crash and felt himself hit the ground, which then began to shake. Try as he might, Paul could not move from the spot, the earth was beginning to crack open and he began to fall. It didn’t feel as though he had gone very far when he suddenly hit something solid and became unconscious. When Paul awoke, he was in this strange place, with humans that weren’t really human, and trees that seemed more alive than the creatures. Every day, he had to painstakingly listen to the woods, which always seemed to be whispering secrets to one another; as if they knew the reasoning and the escape, but could not divulge it to anything with a heartbeat. They teased him with their knowledge of “why’s” and “how’s.” He wanted to get out but knew not how, or at least to know why he was plunged into this place but had not the slightest idea. To Paul, it was a mystery of how this place came to be and why it was such a cruel world. But to the trees, it was as notorious as their own branches and leaves. Sometimes Paul thought maybe he had died and that this was his own personal hell; that he had done something wrong to deserve these horrors. However, when he lived just for one more day and saw her face once again, he knew that couldn’t be the case. He knew somewhere deep inside that everything was going to be okay, he had to stay positive or perish at the thought of being stuck in this place forever. Paul would often sit and think, as he tried to ignore the shrieks around him, about when he would ever be able to get out of this place and back to where he belonged: in the arms of the woman with the most beautiful copper colored eyes he had ever seen. He just kept hoping that he would see her in person again. Finally, it happened for Paul. There came a day when he heard her voice, and it wasn’t just one of those times when it was all in his head. It was just before dawn and he had creatures snarling just below him, but he heard it and They must have too, because They stopped trying to snag him for dinner and started looking around, not sure where it was coming from. He kept listening; she was calling to him over and over. “Can you hear me,” her voice begged, “Please don’t leave me.” It was in this moment that he let his guard down, and his foot too. One of the creatures reached up and snagged it, forcing Paul to fall out of the tree and on to the ground with a hard thump. There were about four MD’s around him, a male and three females. They were batting at him as though he should be fighting back, but Paul felt as though he was frozen where he lay. They touched him with their cold hands and even colder tools. One of them came and sat on top of his legs, to keep him from flailing about, but it didn’t matter, Paul didn’t feel as though he could move anyway. Two others held down his arms to keep him from lashing out. The male came and knelt right next to Paul’s face. His eyes glared deeply, almost as if wanting to burn a hole in Paul’s scull. The creature then took his hands and placed them over Paul’s chest. He grunted something to the others, who released Paul immediately from their grasp. All at once, Paul felt a huge surge of energy rush through him; it was hot and intense, almost as if the creature had lit him on fire. He had seen the creatures perform this act on a lesser being once, and he knew what the result would be. The creature placed his hands firmly on Paul’s chest again and at once, the world became dark and Paul was no longer Paul. When he woke up, he was in a place that he did not recognize. The walls were white and a light as bright as the sun was shining on him. He saw a picture on the wall of a path through the woods with the caption, “Success is a journey, not a destination.” He knew that must be correct because there she was, leaning over him as he lay there, helpless. She had a glow about her, as if she were an angel, and all he could see was her. When the rest of the room began to come into focus, he knew where he was. He could hear other voices around him and saw faces that he almost could remember, but couldn’t quite recall what the cold, dark eyes reminded him of. Friends are great to have but writer friends are even better! Thank you to all of my writer friends on here and in real life 🙂 I hope to acquire more soon. If you had asked me “Why do you need writer friends?” five years ago, I would have looked at you funny. I didn’t actually know any fiction writers, and therefore couldn’t even begin to tell you what I was missing. All that changed a year and a half ago when I met my current writer friends, and subsequently, after having produced a shadow of an online presence, I have gotten to know some other amazing people in the meantime. Now I can’t imagine not having writer friends. 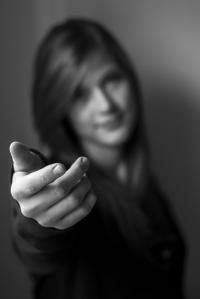 So what are the reasons for befriending other writers? 1.) They’ll challenge you to improve. Nothing’s better than friendly competition. 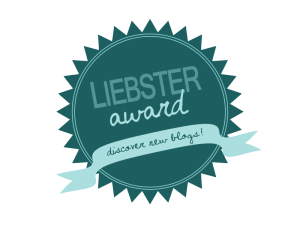 Why, just the other day, Chris challenged me to a flash fiction write-off (winner undecided). I’m not very good about finishing my work, but I did it, simply because I couldn’t bear the idea of letting him win. 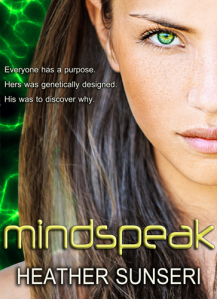 Free books to get you hooked. Hello, everyone! Who doesn’t like free books? Especially free books in ebook form (no more overstocked bookshelves)! 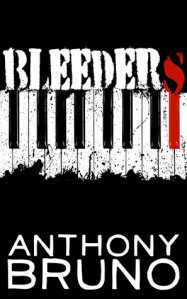 I found a few Kindle freebies that have interest me to download. I wanted to share with you all in hopes that they may interest you as well. Let’s get to the free books! 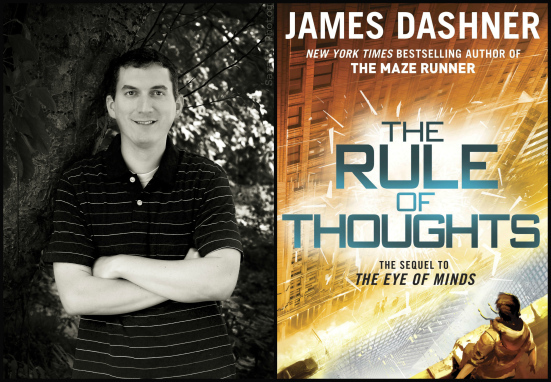 Spotlight on #TTBF14 Keynote: James Dashner! JEALOUS. WISH I COULD BE THERE. James Dashner is the best selling author of The Maze Runner series for Young Adults. If you haven’t heard, The Maze Runner is being made into a live action movie with Teen Wolf actor Dylan O’Brien!!! The movie will be hitting the big screens on September 19th and we are sure it will be a hit with YA and Sci Fi fans alike. The Maze Runner is told from the point of view of Thomas, a teen who wakes up with no recollection of his past and is thrust into a post- apocalyptic maze-like world called the Glade. As things become more and more complicated, Thomas has to piece together why he was sent to the Glade and how he plays an important part in how to get out.